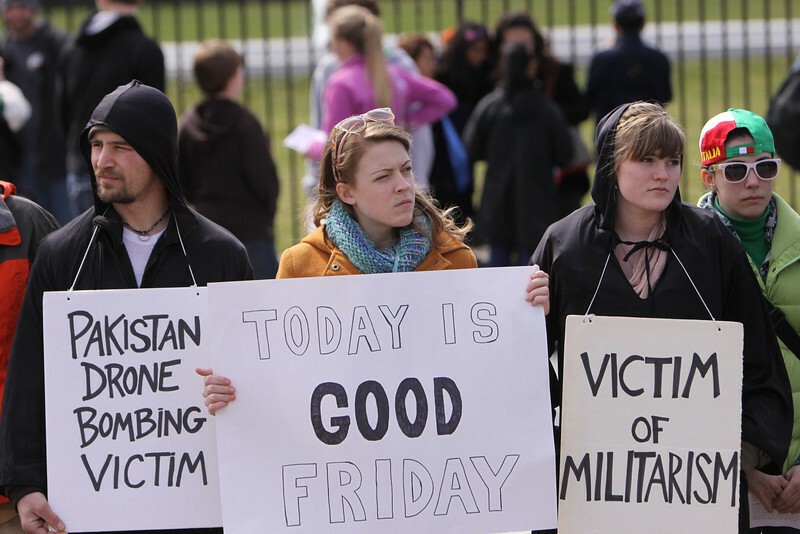 PC GROUPS HOST, PARTICIPATE IN GOOD FRIDAY WAY OF THE CROSS ACTIONS: From Atlanta to New York City, Richmond to Denver, over 20 Pax Christi local and regional groups led or participated in Way of the Cross vigils and actions on Good Friday to connect the suffering in our world today with the suffering of Jesus on the cross 2,000 years ago. Pax Christi Metro New York’s service was featured in the Archdiocese of New York’s blog and the New York Daily News included a photo of Archbishop Dolan participating in the service. Pax Christi groups that participated in or led these prayer services and actions included groups (with links to news stories, etc.) in Harrisburg (PA), Richmond (VA), Washington DC, Denver, NYC, Atlanta, Utica (NY), Bradenton (FL), Naperville (IL), Chicago, Springfield (IL), St. Paul (MN), Hartford (CT), Milwaukee, Sioux Falls (SD), Muskegon (MI), Seattle, Sunnyvale (CA), Albany (NY), Melbourne (FL). PC WESTERN NEW YORK CHOOSES NEW COORDINATOR: PC-Western New York recently chose Tom Casey to serve as their new regional coordinator. Tom is a former candidate for both Congress and the NY State Legislator. A recent retiree, Tom has been active in the Witness for Torture group and has been an active supporter for friends who have been arrested for protesting drones at the Hancock base in Syracuse. Tom is a faithful peace advocate and will bring new energy and leadership to PC Western NY’s search for a more peaceful community and world. PC MEMPHIS CELEBRATES CITY’S DIVERSITY: Pax Christi Memphis was present at the city’s “Heart of Memphis” event on March 30th. The day-long happening celebrated the city’s diversity with workshops, music, dance and entertainment. The event gave Memphians an alternative to gathering downtown to watch the Ku Klux Klan, who demonstrated in opposition to the re-naming of three Confederate-themed memorial city parks. Heart of Memphis drew a much larger crowd and gave residents the opportunity to come together in a showing of peace, justice and unity. Members Ed Wallin, Pax Christi Ambassador of Peace Janice Vanderhaar and Paul Crum were among the volunteers who greeted visitors to their table throughout the day. 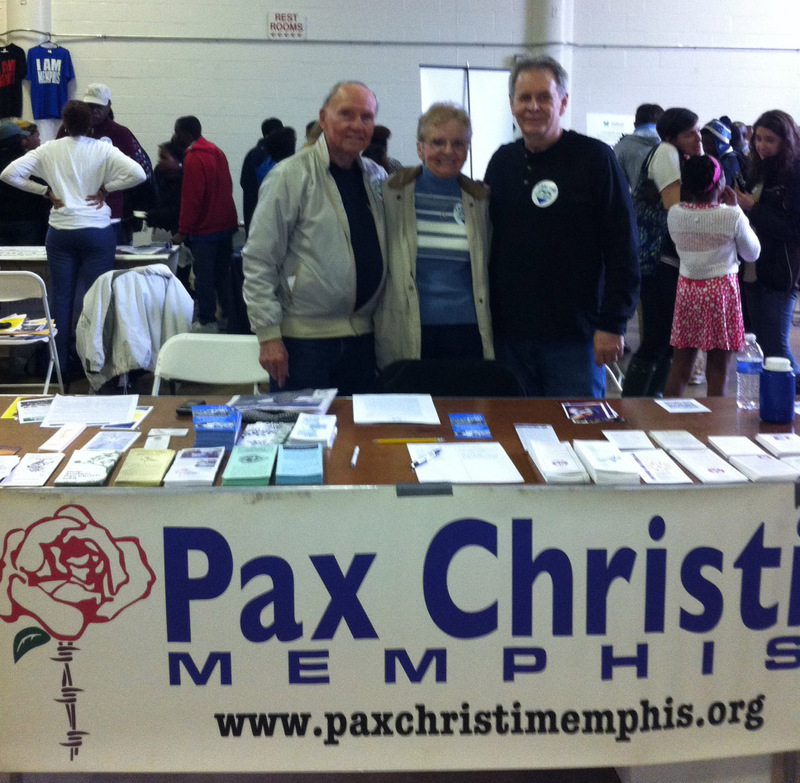 Pax Christi Memphis members Ed Wallin, Janice Vanderhaar and Paul Crum at the Heart of Memphis celebration. 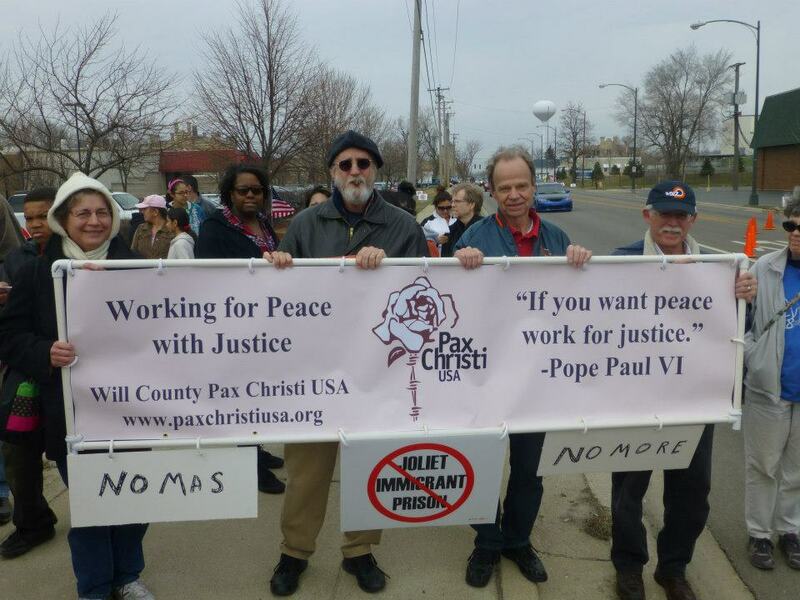 REGIONAL NEWS: PC Illinois joins immigrant rights advocates against for-profit immigrant prison!